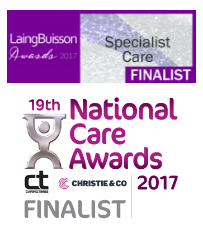 We are delighted to let you know that Optima Care was shortlisted in the Specialist Care category of the LaingBuisson awards, following judging of our entry by an independent panel of judges. This award focuses on excellence in specialist care for adults and children with physical or learning disabilities or mental health problems in a residential setting. The results will be announced on 15th November 2017. We’re demonstrating the benefits of Shine, our therapeutic model of care, with its recovery and outcomes focus. 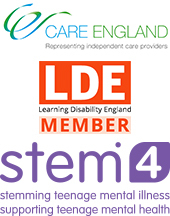 We provide support to some of the most complex and challenging individuals in society. We offer TMVA de-escalation training to other providers. We ensure access to educational and volunteering opportunities for many of the people we support, such as volunteering in local charity shops and gardening work. We established our own partnership-working forum two years ago – open to other providers, community, crisis and forensic teams, with the aim of working together to ensure a smoother journey toward independence. We place much emphasis on staff training and development. We are facilitating placement opportunities for Police Training Schools, social care and psychology students. The LaingBuisson Awards recognise and celebrate industry excellence and innovative services in the public, private and third sectors. LaingBuisson has been around for over 30 years. It exists to empower providers, commissioners, payors, investors and regulators to understand their markets, access their customers, increase profitability and deliver better care through market intelligence, consulting and data solutions.